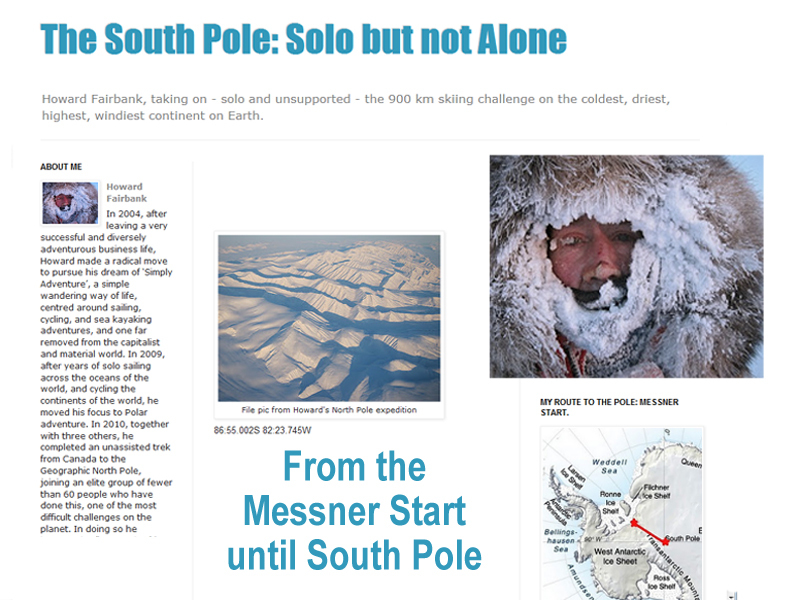 Solo but alone because some other expeditioners (clients) guided by R. Weber are following the same route. The conditions are hard and icy at the start, and there is always the danger of deadly crevasse, hidden by snow bridges. Sastrugi, sharp irregular grooves in the snow, are hit or miss for most of the trek but tend to reduce in the last stretch of the trip, which becomes true ice desert wilderness. The low pressure in the South Pole can make the altitude feel more like 12,000 or 13,000 feet, which makes the physical exertion challenging.